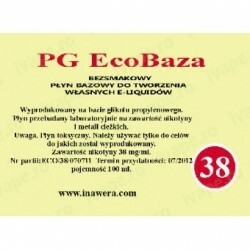 Inawera - PG EcoBase 24 mg - 100 ml. 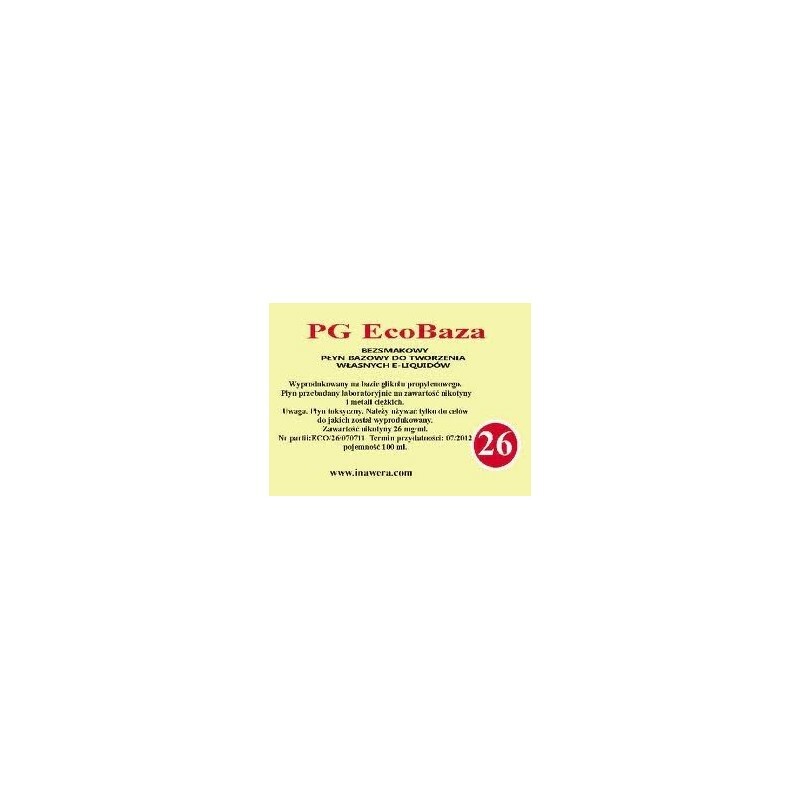 100 ml of PG EcoBaza Universal 26 mg nicotine produced by Inawera, Poland. 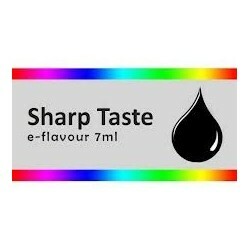 100 ml of PG EcoBaza 26 mg nicotine produced by Inawera, Poland.